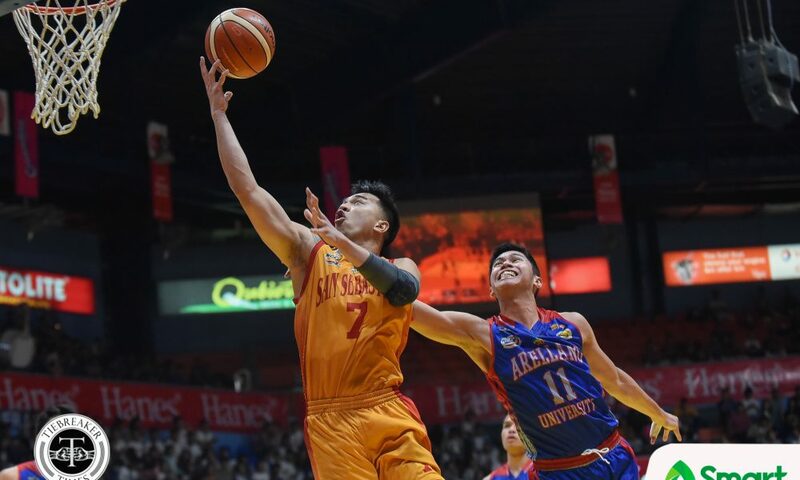 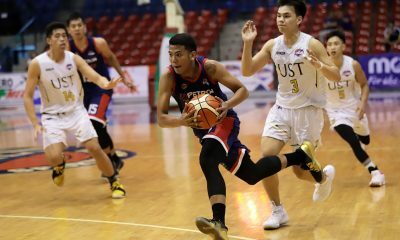 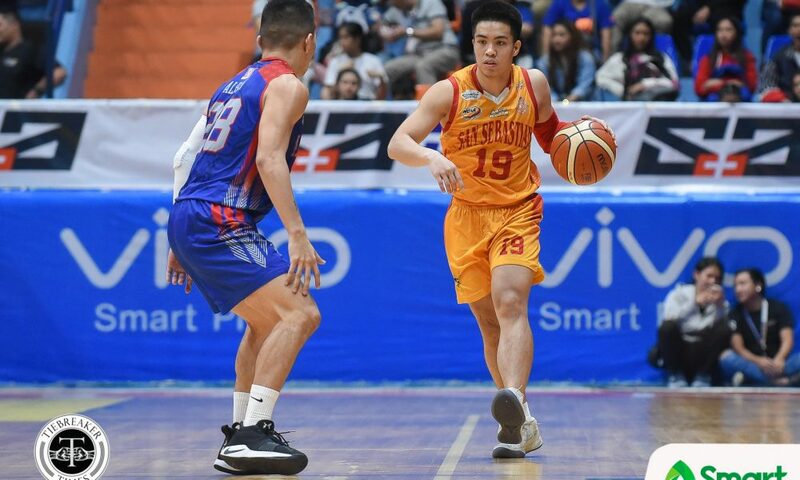 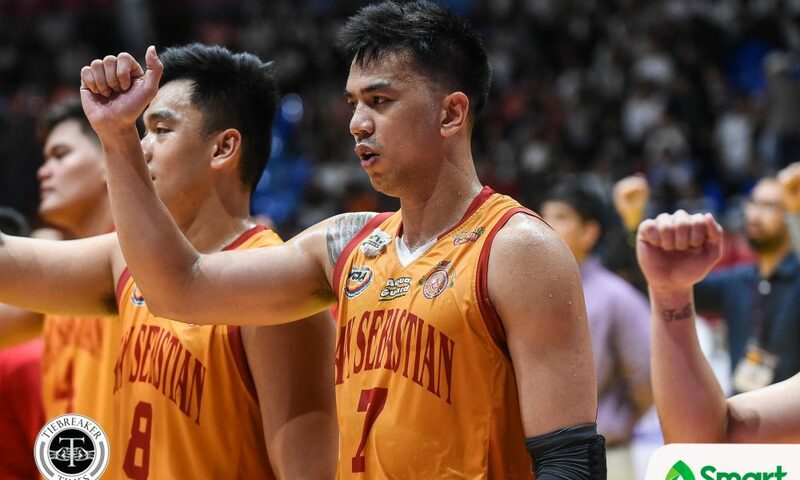 Despite a disappointing season as a whole, the San Sebastian College-Recoletos Golden Stags made sure to send their three seniors home with a win, routing the Arellano University Chiefs, 91-63, Tuesday afternoon at the Filoil Flying V Centre. 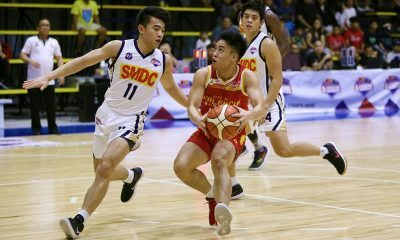 Though they suffered an exodus weeks before their campaign started and a ‘ligang labas’ issue during the first round, the Golden Stags still managed to end their campaign in sixth place with a 6-12 record. 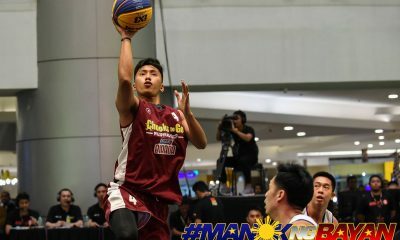 And they badly wanted to win this game, as it was the last for seniors Michael Calisaan, Ian Valdez, and Kevin Baytan. 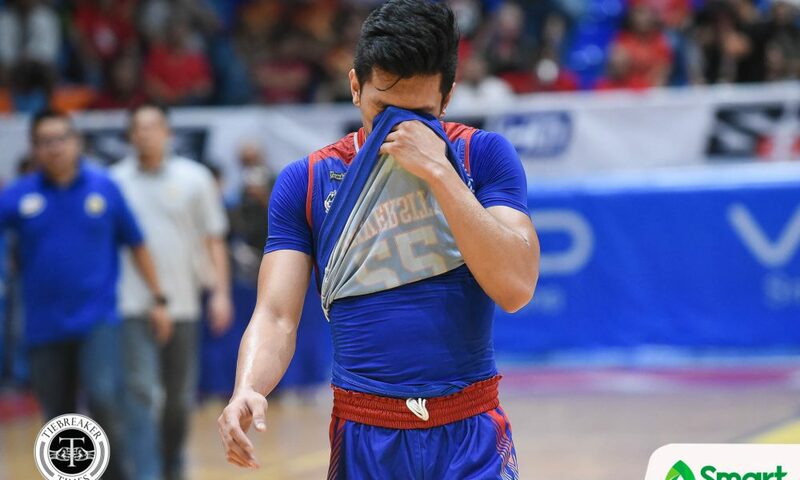 “Well, surely, we will miss Michael. 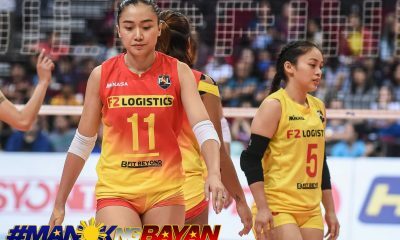 Yung leadership niya sa team, it is something na mami-miss ng team. 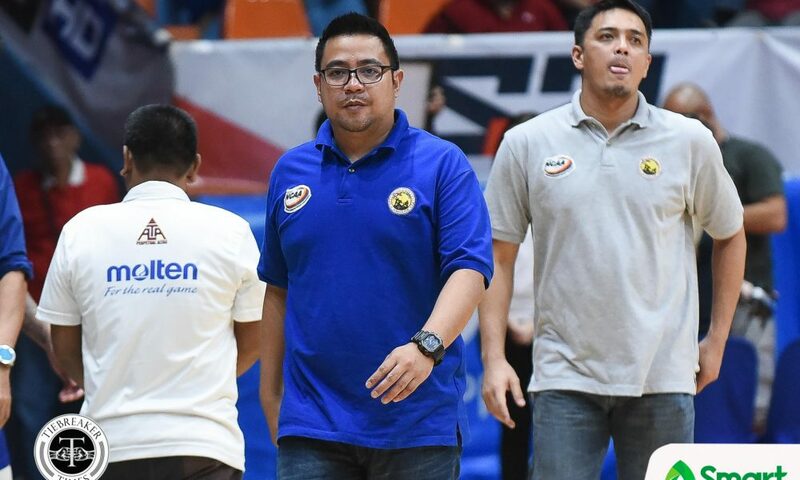 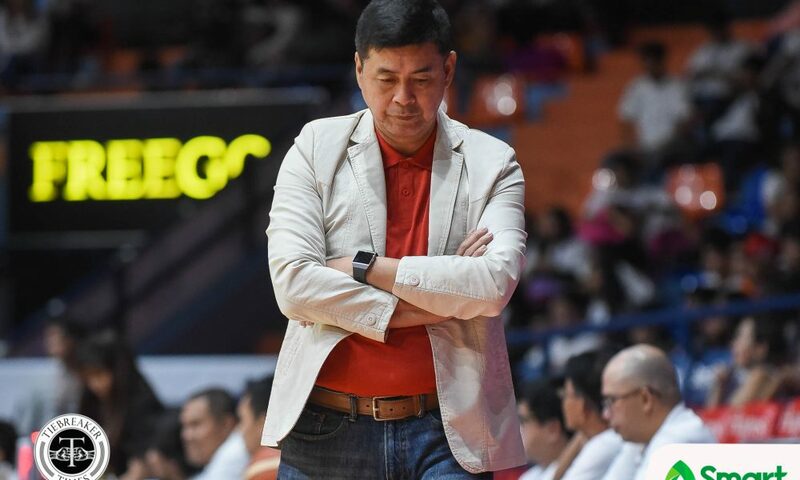 Lagi kong sinasabi na siya yung type ng player na gusto ng coaches,” shared third-year San Sebastian head coach Egay Macaraya. 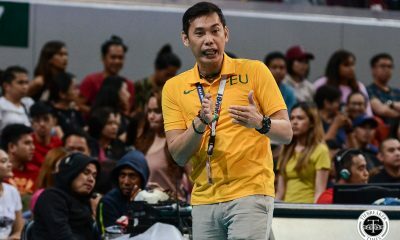 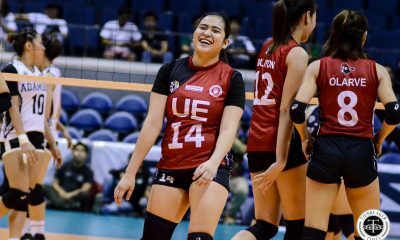 “The team showed na beterano sila. 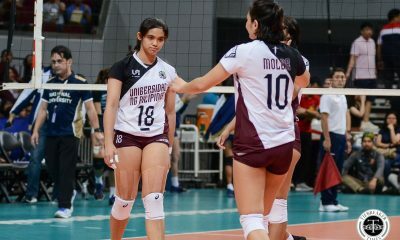 Sana yun yung mangyari anywhere they go,” added Macaraya. 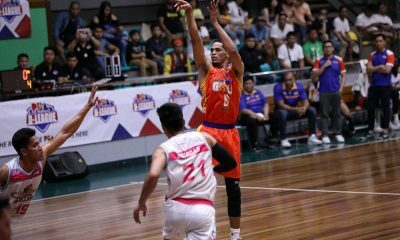 Calisaan was outstanding in his final game, finishing with 24 points, 12 rebounds, three steals, three assists, and a block. 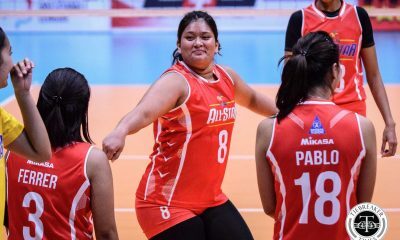 “Masaya pero may kasamang lungkot kasi ilang taon na rin ako sa Baste. 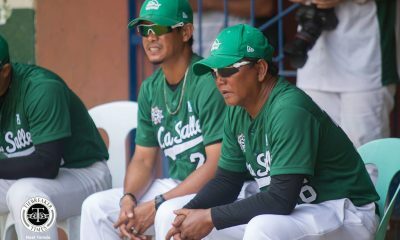 Malungkot,” said Calisaan. 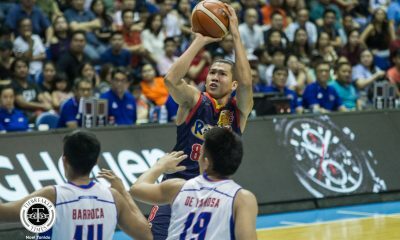 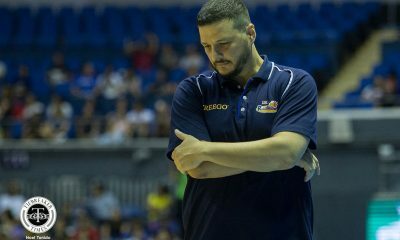 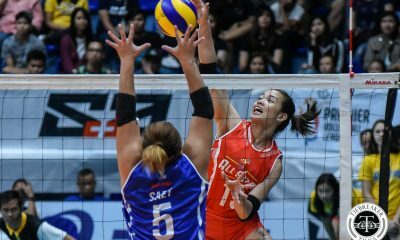 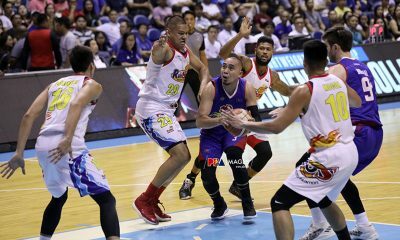 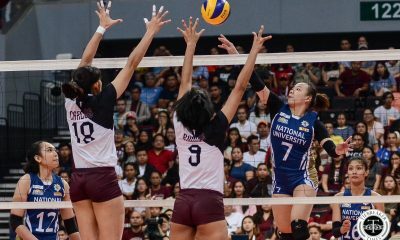 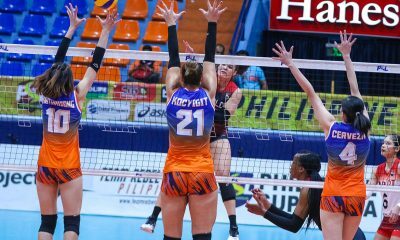 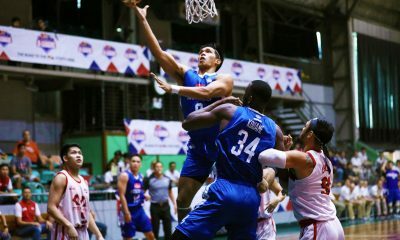 On the other hand, Baytan – who only had five points all season long – had eight points and six rebounds, while Valdez added four points. 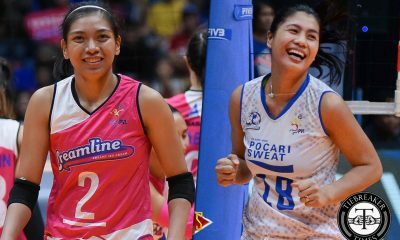 The two started the game as well. 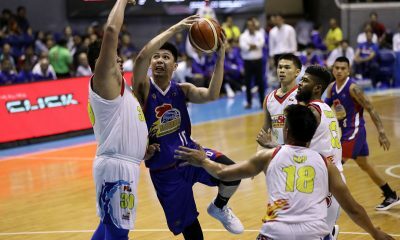 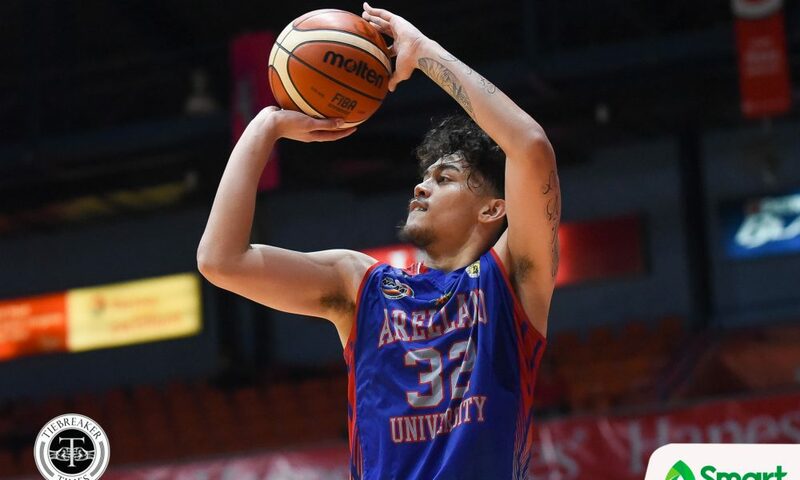 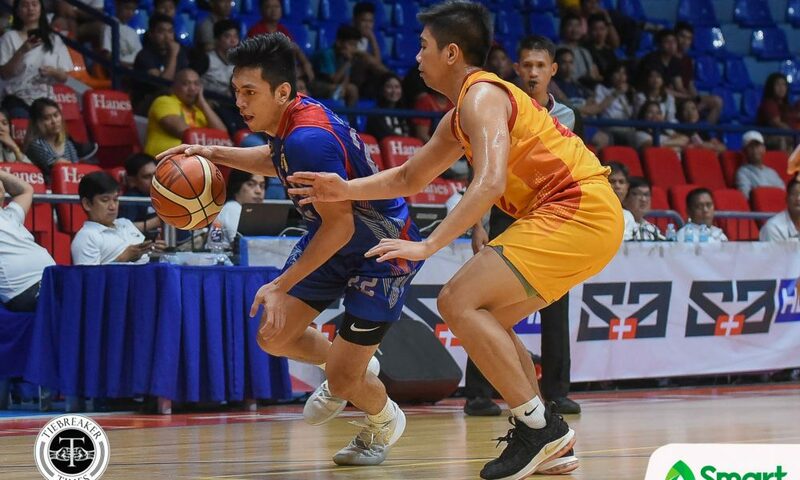 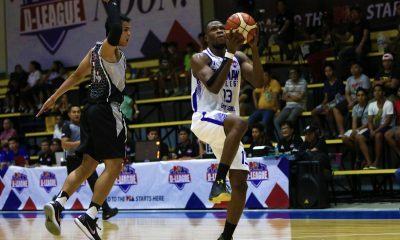 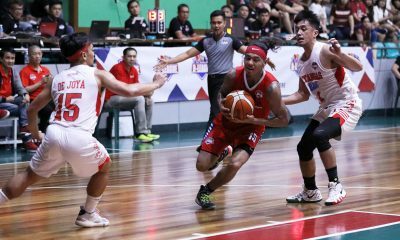 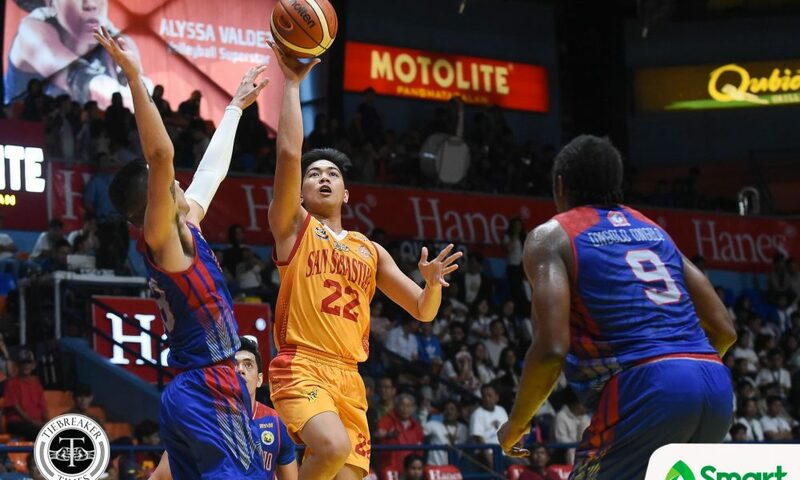 After a slow first quarter, San Sebastian blasted Arellano with a huge 35-point second quarter to gain the lead for good. 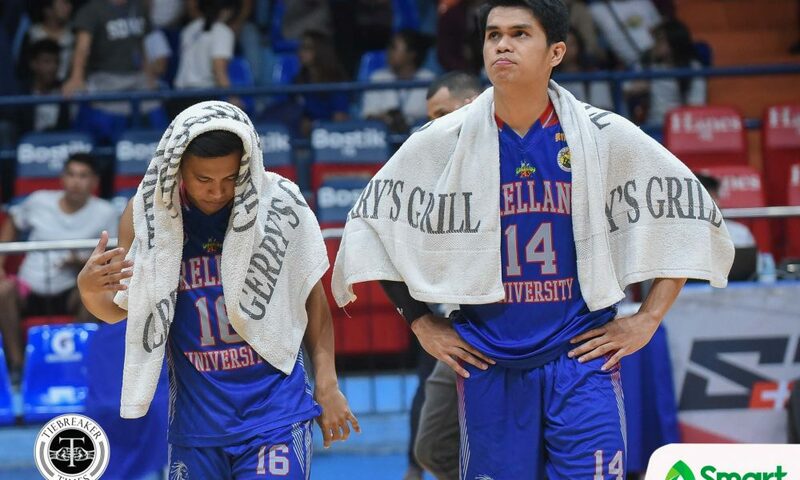 RK Ilagan and Allyn Bulanadi fired seven and six points, respectively, during that 35-12 run. 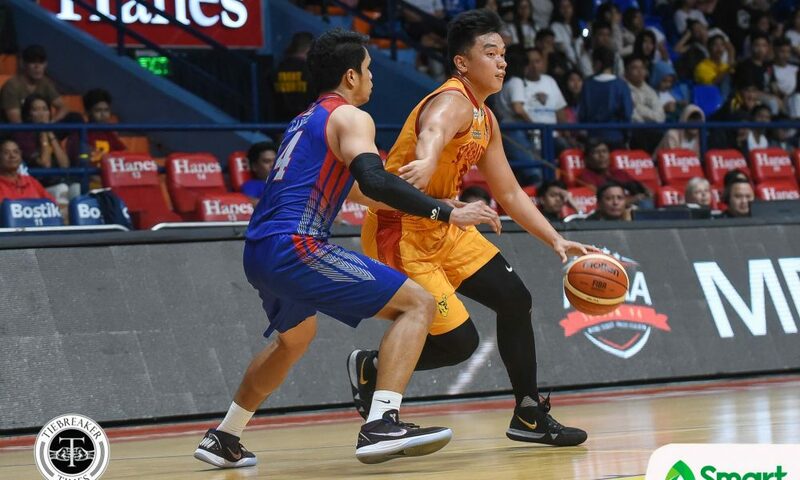 Ilagan had 13 points, six rebounds, and five assists, while Bulanadi added 11 points and 11 boards. 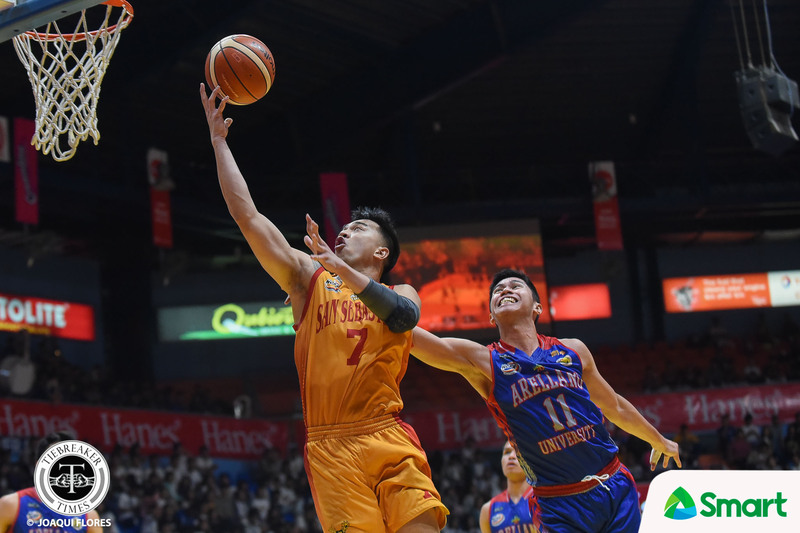 The Golden Stags would lead by as much as 31 points in the game. 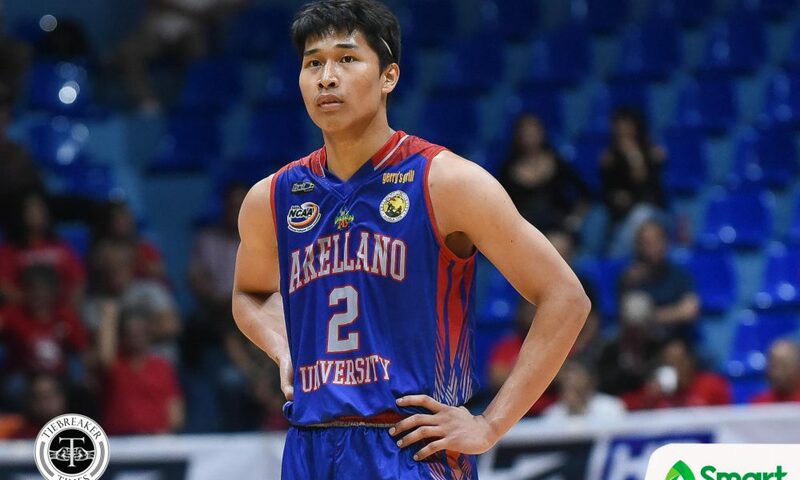 Arellano finished at eighth place with a 5-13 slate. 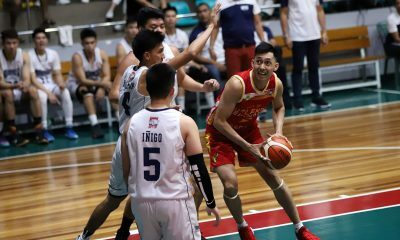 Michael Canete ended his Chiefs campaign with 10 points and nine rebounds. 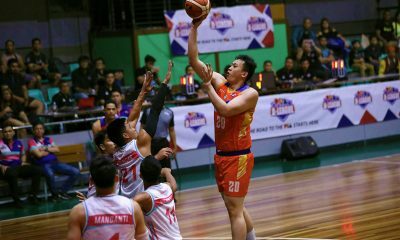 Leading the Chiefs was Rence Alcoriza with 17 points and seven rebounds. 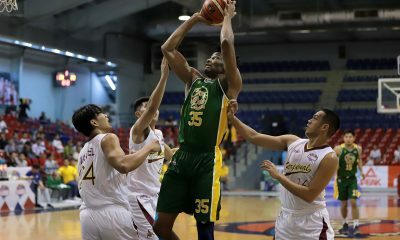 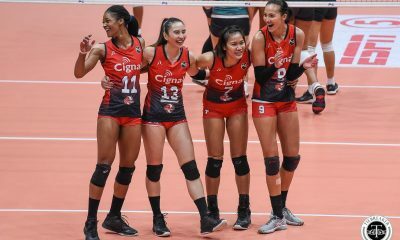 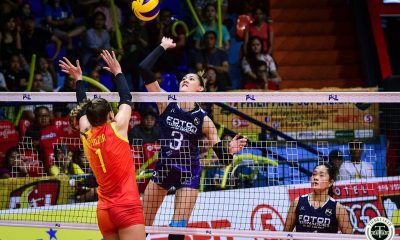 SSC-R 91 — Calisaan 24, Ilagan 13, Bulanadi 11, Calma 9, Dela Cruz 9, Baytan 8, Valdez 4, Sumoda 4, Capobres 3, Are 3, Isidro 2, Desoyo 1, Villapando 0, Arciaga 0. 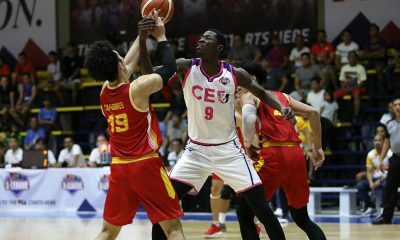 AU 63 — Alcoriza 17, Canete 10, Sera Josef 8, Alban 6, Dela Cruz 6, Concepcion 4, Bayla 4, Ongolo Ongolo 3, Dela Torre 3, Segura 2, Sacramento 0. 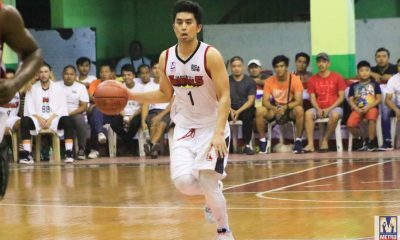 Quarterscores: 14-18, 49-30, 73-46, 91-63.